This is the second article about tree traversal algorithms using Java. In the first part, we have seen the pre-order algorithm for visiting all nodes of the binary tree and today we'll learn about the InOrder traversal. As I told you before, unlike array and linked list, binary tree has several ways of traversal. The traversal algorithms are broadly divided into depth first and breadth first traversal algorithms depending upon how algorithm actually works. 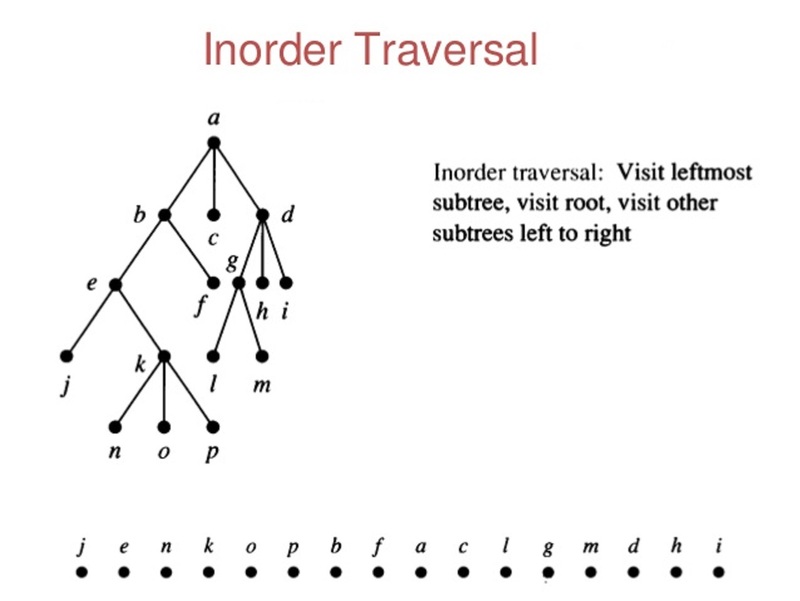 As the name suggest, depth first explores binary tree towards depth before visiting sibling, while breath first visits all nodes in the same level before going to next level, hence it is also known as level order traversal. Both PreOrder and InOrder tree traversal algorithms are depth first and the only difference between pre-order and in-order algorithm is the order on which root, left node, and right node of the binary tree is visited. The In order traversal algorithm first visits the left node, followed by root and finally right node. This is different than pre-order traversal which visits the root first. One of the important property of inorder traversal is that it prints the nodes in sorted order if given binary tree is a binary search tree. Remember, a binary tree is called a binary search tree if all nodes in left subtree are lower than root and all nodes in right subtree is greater than root. To learn more about the binary search tree, I suggest you read a good book on Data structure and algorithms e.g. Introduction to Algorithms by Thomas H. Cormen. In our example, I have also used a binary search tree to demonstrate that InOrder tree traversal prints nodes of a binary tree in sorted order. Continuing the tradition, I have shared both recursive and iterative solution of this problem. This is extremely important from the interview point of view. Even though the recursive solution is easier, takes fewer lines of code, and it's more readable, you should know how to traverse a binary tree without recursion in Java to do well on programming interviews. Check if node == null, if yes then return, this is our base case. Call the inOrder(node.right) to recursively traverse the right subtree. The method is made private because it is exposed via another public method inOrder() which doesn't expect a parameter from the client. This is an example of facade pattern makes method simpler for client. The recursive algorithm is simple to understand, you go deep on left subtree until you find the leaf node. Once you find that, the recursive stack starts to unwind and it prints node data and starts to explore the right subtree. See Head First design patterns to learn more about facade pattern in Java. As we did with the iterative pre-order algorithm, you can use a Stack to convert the recursive in order algorithm to an iterative one. Of course, the solution without recursion is not that easy to read but not very difficult to understand. We start with the root and process until current node is not or Stack is not empty. We start pushing nodes from left subtree until we reach to a leaf node. At that point, we pop() the last element, prints its value and starts exploring right subtree by assigning current = current.right. This continues until our stack becomes empty, at that point, the tree traversal is finished and all elements of the binary tree is visited. Since are printing elements on inorder traversal and our binary tree is a binary search tree, you can see they are printed in sorted order. 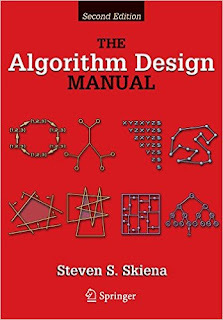 See Algorithms design manual by Steve S, Skiena to learn more about different types of tree traversal algorithm e.g. level order traversal. Here is our complete program to implement inorder traversal of a binary tree in Java. This is similar to the preOrder example we have seen earlier, with the only difference that root is visited second instead of first. The recursive algorithm is straightforward but iterative one is a little bit difficult to understand. You must remember that Stack is a LIFO data structure and node you push first will be popped later. Since you need to visit node in left-node-right order, you have to push nodes of left tree until you reach the leaf node. Thereafter you print the value and start exploring right subtree. We have used same BinaryTree and TreeNode class, which is used to represent a binary tree in earlier tree based problems e.g. counting leaf nodes. The BinaryTree is your regular binary tree and TreeNode represents a node in the binary tree. That's all about how to visit all nodes of a binary tree using InOrder traversal algorithm. As I said before, InOrder is a depth-first traversal algorithm and left subtree is explored first before visiting root and right subtree is explored last, hence it is also known as LNR (left-node-right) algorithm. 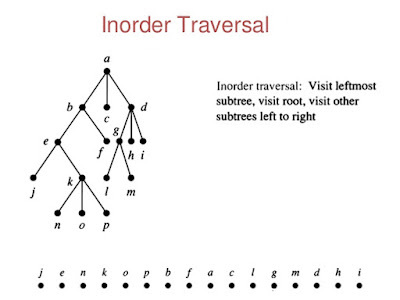 There is one more unique property of inorder traversal, it prints nodes in sorted order if given binary tree is a binary search tree. So, you can use this algorithm if you have to print all nodes in sorted order of a BST. Excellent approach! Although I can make small modification to print in-oder predecessor and revert thread, immediately without traversing same left again.